As growth slows in the commercial aircraft industry and OEMs trim costs, suppliers must embrace change and reinvent themselves to become indispensable. The commercial aircraft industry has experienced an exceptionally good run. New orders doubled between 2010 and 2014. And since then, order books have remained stable around record highs, with roughly 13,000 aircraft still in the pipeline. But with few new aircraft programs in sight, the party is about to end. 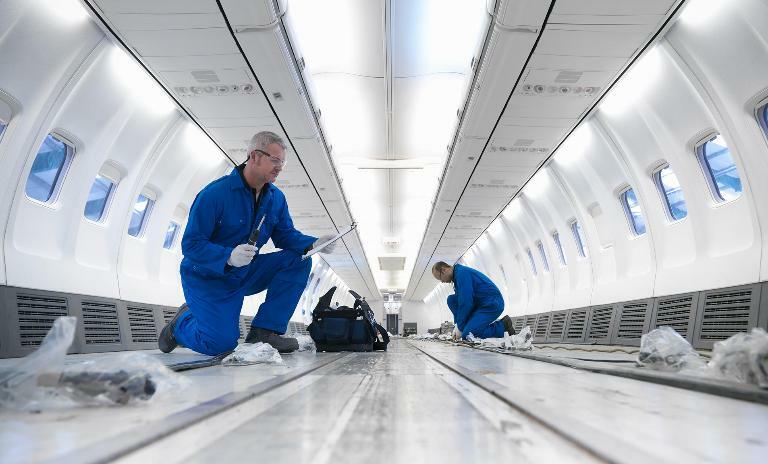 Aerospace suppliers must commit to excellence, efficiency and innovation to counter slowing growth rates in the industry. Industry growth rates are expected to drop sharply, from currently around 5% per annum to around 2% as of 2020. In the face of this development, OEMs are cutting costs, doing more in-house and shoring up their supply chain, clipping the wings of suppliers in the process. The predicable result for the latter: overcapacity and downward pressure on margins. 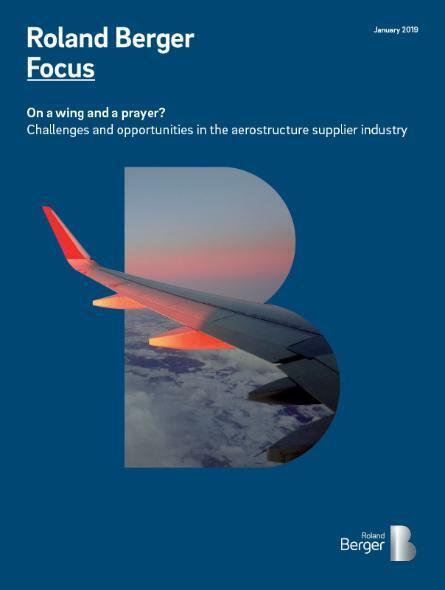 Our study describes what suppliers can do to engineer a soft landing – or even position themselves for a successful new take-off under changed market circumstances. Above all, suppliers must commit to a winning trifecta of excellence, efficiency and innovation – three levers that affect and depend on each other, and that are key to generating sustainable profits in the future. To stay one step ahead of OEMs' incessant demands for better service at lower cost, suppliers must consistently deliver operational excellence. "On time, on cost, on quality," sums up what OEMs expect of their suppliers, both for existing work packages as well as in the implementation of new technologies. 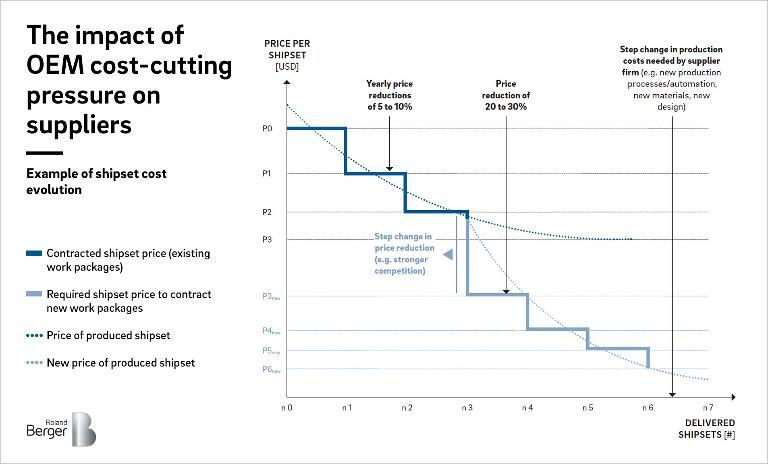 To deliver such excellence at the right price and still make a profit, aerostructure suppliers must obviously also improve their internal performance. This will criti­cally involve investing in automation and innovative production processes. And thirdly, in the decades ahead, having innovative materi­als (e.g. thermoplastics), products (e.g. thanks to addi­tive manufacturing) and processes (e.g. resin transfer molding) that others cannot compete with will be a good way for suppliers to maintain existing contracts and acquire new ones. Beyond new technologies, dwindling market shares and the need to streamline operations and innovate will also prompt a wave of consolidation in the market for aerostructures. Suppliers must make sure they end up where the business is and the profits are. Aerostructure suppliers that plot a clear strategy and proactively shape the wave of consolidation ahead can turn the coming changes to their own advantage.